There are two things that define human progress: our ability to use technology for the betterment of the world and the development of our moral codes and standings. When we arrive at the choice to create something beautiful out of things that are good but need a little update is when the moral code comes into play. Do you do your best and do it for the good of all, or do you do your best but for selfish reasons? The answer to that question might mean the difference between creating something innovative and beautiful, that will change the world and the Frankenstein’s monster. The creators of this instrument were not entirely sure what they were doing. Maybe all they were looking for was to create a new sound or maybe they were looking for a way to combine unique and extremely popular instruments for their personal gain. Whatever they did, they managed to avoid a disaster and create something unique and something that sounds pretty good. 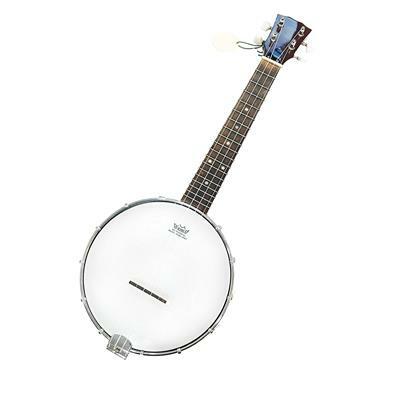 I like to imagine that the first and subsequently the best banjoleles are made by picking up a normal banjo, putting it in a washing machine, setting the water temperature too high, and then running it for a few hours. In the process the the instrument shrinks, just like my favorite sweater did last week, and turns into the basis for a banjolele. 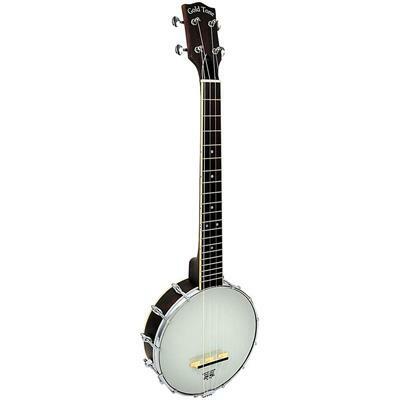 Then some alternative strings are strung onto it and bam, you got yourself a banjolele. Quick disclaimer, this is not how banjoleles are made and if you try this, first of all you’re gonna have trouble fitting the banjo into the machine and second of all, if you do manage to do it, say goodbye to every item involved. Possibly your limbs too, if you don’t step away. The best of two worlds can symbiotically fuse and exist as something more, something superior and something so much better. The process might take trial and error but will always result in the exceptional and unique that each of us so much seek. The result might also be on a slightly pricier side, but if quality is what you want, you will have to expect higher prices. The Gold Tone Banjolele – DLX Banjo Ukulele on the other hand is an example of why you don’t have to sacrifice your left kidney to get a good instrument. This banjolele has a beautiful design and is a full concert size. The resonator and flange of this banjolele produce an immense sound, something you would not expect of an instrument so small and so often underestimated. It doesn’t matter whether you are a beginner or not, this banjo ukulele will serve you well, both as a ramp to better things and a fun instrument to have on the side. The world of the banjolele is one which is rarely explored, but highly sophisticated. This means that if you spend enough time exploring your options you will come upon your perfect instrument both in terms of make, sound and price. It means that you will get a diverse set of instruments, with specifications that might feel like they were added because the creator was thinking of you, in the same affordable price range as all the other instruments. 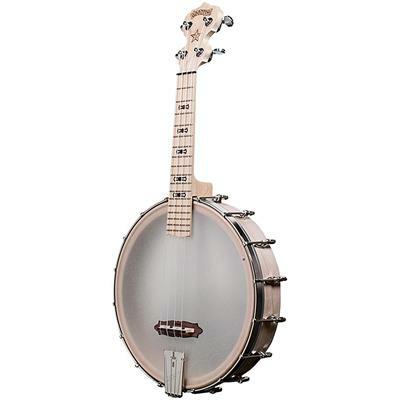 The Deering Goodtime Concert Scale Banjo Ukulele is amazing exactly for that – while resting in a price range that a lot of banjo ukuleles are comfortable being in, this instrument offers unique qualities that many professional musicians will appreciate and beginners will be pleasantly surprised by. The instrument is made with a good quality maple wood, and being a concert scale instrument, it has a powerful sound that resonates beautifully even through the most crowded rooms. It is comfortable to play and a lot of fun to bring anywhere you go. The OUB1 is Oscar Schmidt’s attempts to create a banjo ukulele and it is pretty much a success. This model offers concert size uke neck and banjolele head, the best of the two worlds that come together to accentuate and perfectly fit together. With the combination of the ‘20s design with modern hardware, this banjo ukulele offers supreme quality construction with mahogany neck and rosewood fingerboard. Hardware-wise, OU offers a pretty simple but high-quality spec. For instance, the tuners are very easy to use and hols the tune very well. If you are a beginner the playability and comfort this model offers a sanctuary for the inexperienced hands. Since this is a banjolele with a resonator you will also have better volume but, fortunately, not the weight that comes with resonators. There is a bit of a problem with intonation and buzz but these issues are fixable. Apart from that, I think Oscar Schmidt really proves again and again how their expertise and to strive for perfection are the key to creating any kind of an instrument, starting from acoustic guitars to banjoleles. When you take an instrument that has a long history of existing as part of a rustic culture, where being old and dirty and tattered only means you have an air of more sophistication around you, and combine it with an instrument that has a sense of whimsy and cheerful power about it, you are playing a balancing act. Which way do you go? To embrace the rustic and worn means to possibly scare off those who were looking for the lighthearted, while going too much the way of the beach and sunshine path might leave those looking for the serious not interested. 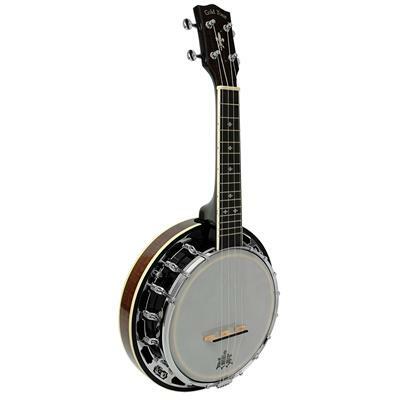 Leaning a slight way one way might be the best choice you have, which is what Kala Soprano Banjo Ukulele does so well. It’s looks, despite undersized like all other banjoleles, are serious and bring a tone of darkness to the look you have. Though the sound promises to be just as sparkling as you want it to be, or not, if you desire it so. Whichever it is, the open back design and the powerful resonator of this instrument will be bringing that note you heart will enjoy so much. The truth of the matter is that no matter how long you spend looking, you will have a hard time finding the best banjolele out there. So the only option you have is to pick that looks like will fit your needs the best. 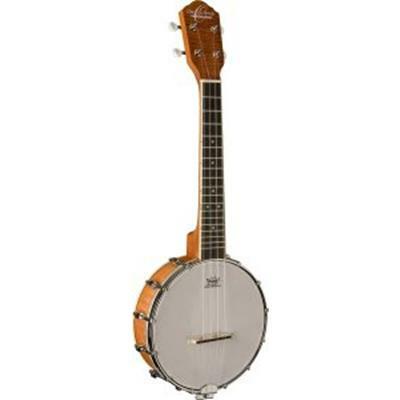 This means the the best affordable banjolele might be a good option for you, or maybe a good bundle is what you are looking for. 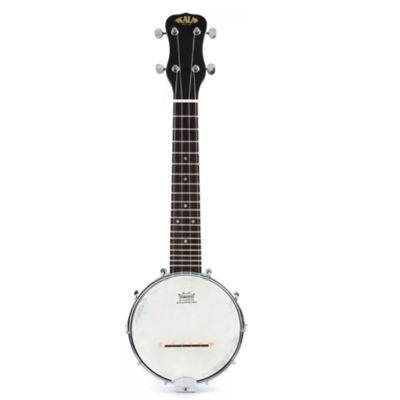 If it’s either one of those things, or both of them at the same time, than you might find the Gold Tone BUB Baritone Banjo Ukulele to be, plausibly, the best fit for you. It offers anything you could want – an affordable price that, if it seems a little unaffordable for an instrument like this, starts making much more sense when you realize what you will be getting for it. The make of this model is very good, producing a sound that would shame most of the instruments out there, while at the same time coming with a bundle of a case and a banjo ukulele stand. Perfect for you to start your small collection of great instruments. Sometimes it is not important how well the instrument is made, or how well it sounds. Sometimes all that matter is being able to use your fingers and hands to produce that sound you’ve been craving so long. Sometimes the only thing you want is to sit in your couch at the end of the day and play around, mess about with your musical instrument. You don’t have to spend a fortune to get an instrument that will be good for that. All you have to have is to be able to send an extra 200 and you can get yourself the best beginner banjolele available, possibly around the world. It is affordable and while not about to make you a star, will allow you to “noodle on” in a comfortable musical space of your own creation. The make is good and the sound it produces is nice. TFW banjo ukulele will last you for a long time, as long as you do not intend to be taking it on world tours, in which case I implore you to look at other options listed here. The main purpose of an instrument is to provide a way for the player to have fun. Do not allow the deceiving stars touring the world with their legendary instruments to tell you otherwise. The instrument exists (at least I have bought into this truth) for you to be able to spend hours upon hours playing it. And if somebody is hypnotized by your playing as much as you are, well, that is an added bonus. Which is why I am adding the Banjo Uke Sidekick Tenor Banjolele onto this list. 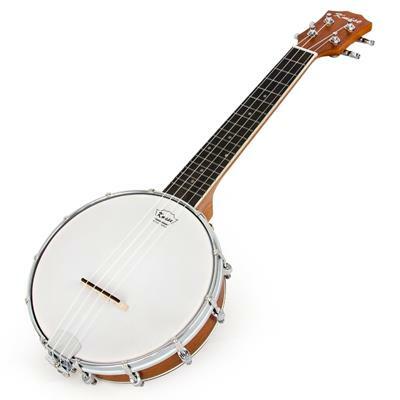 The light, comfortable design of this banjolele means that you will truly be able to spend several days on it without pausing (I think, you should pause at some point). 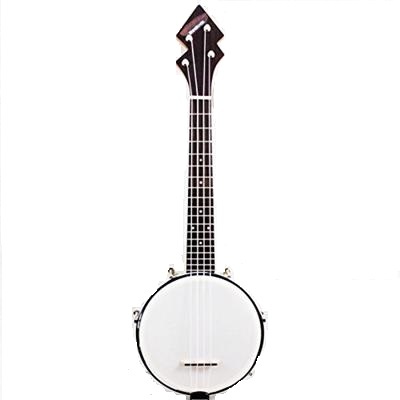 The open back and the resonator design mean that you will be producing a unique sound even for the banjo ukulele family. The affordable price is the nice cherry on top that will allow you to say to yourself – yes, this was a smart purchase. Unless your wife hates music, in which case, have fun playing in the garage (just kidding, my wife isn’t making me do that). A long time ago, when Frankenstein the book and the first movies too, were still fresh (not that fresh, at least the book) a lot of people felt inspired to combine things that were not the same thing to make new things. Sounds a lot more simple than it actually is. So, sometime around 1917 this guy, John A. Bolander after hanging out with this other guy called Alvin D. Keech, and allegedly having one too many gin and tonics, decided to combine the Banjo and Ukulele. The hangover the next day might have sucked, since they had to do a lot of work designing the actual new instrument. There must have been a lot of tries, a lot of amalgamations that did not seem right, but at the end they finally had created the instrument that would go on to be incredibly popular in the 1920s and the 1930s. Though this popularity might be exaggerated by me, slightly, right now, the banjolele had its golden age. Unfortunately the instrument was often relegated for joke purposes. The comedian George Formby developed his own style of playing the instrument and often accompanied his own songs with it. Which is why he is the most famous musician to work with the instrument. Of course, there were others who played it, some of them invented their own, unique of playing it, techniques not before seen in the context of the instrument, which was not seen much of before, at all. Either way, the instrument found its time and place. Though the use of the instrument has fallen off in the recent history of the instrument (read: it’s almost been forgotten by wide audiences) there are still musicians playing it, and it has found uses in soundtracks for films like Steven Universe and for a TV show Arrested Development. It is a shame that the instrument’s popularity has fallen in the recent years. It could find its place in the modern musical world with its unique sound. Someday it could come back if someone found a more creative use for it, beyond the big joke it has been left behind as. Maybe you are one of those people who will bring it new life in this new world? Whatever it is, I hate to see a good instrument go to waste as the banjolele is doing right now. I’ll go play my own right now. First of all, I would like to repeat, that what I said in the first paragraph of this article regarding how banjoleles are made was a joke meant for entertainment purposes, not a true thing. If you are a parent of a child that read this article before you did, I’d go double check on what they’re doing right about. If you are a child, please, don’t do it. Now that I have said that let’s get back to talking about banjoleles. I do not know many people who play the banjolele. I know a lot who play the ukulele, an immensely fun instrument that yes, is also incredibly versatile and useful. If you are one of those people that consider the Uke a toy instrument, I need you to go check out what a serious ukulele player can do. Just ignore the bad fashion choices of hats they usually make. The amount of people that I know who can play the banjo effectively is not as high as the amount of banjo players. What I do know about banjo players is that they are incredibly dedicated to their craft and art and will spend hours at a time practicing it. They know their stuff and they can stand up and be a valuable part of any band, any musical ensemble, looking to diversify their sound at a moment’s notice. The amount of banjolele players I know is exactly one. This person looks me in the eye every morning through the mirror and asks whether it was worth to learn the instrument at all. I always answer that yes, it was. The banjolele is a very versatile instrument that gets the best parts from both of its parents. If only it was more mainstream and better known, you too would know how the best banjolele players can contribute to the musical world. The instrument is not hard to learn and a lot of fun to play and amaze everyone with the unique sound it produces. So go ahead and have fun with it.